The international symposium marking the 30th anniversary of the establishment of the Nobeyama Radio Observatory (NRO) was held December 3-8, 2012 in Hakone, Japan. A total of 169 participants from 16 countries attended the symposium. The main purpose of this symposium was not to look back upon past achievements, but to discuss the new and future trends expected for radio astronomy based on the initial observations of the Atacama Large Millimeter Array (ALMA). Many exciting results from ALMA Cycle 0 observations were presented along with those obtained with other facilities. Although ALMA is still in its growing phase, participants were amazed by the power of ALMA. The presentations covered a wide range of fields, including cosmology, galaxies, star formation, protoplanetary disks, astrochemistry, solar system, and evolved stars. Complementary instruments in the ALMA era and future plans beyond the ALMA were also discussed during the conference. 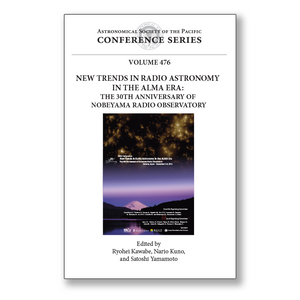 The keynote presentation by Norio Kaifu (President of the IAU) is also included in this volume.